Spring and summer are peak white shorts seasons. But different occasions call for different outfits, so get the most out of your pair with these suggestions. But before we start, let’s talk about underwear real quick. Under white shorts, we recommend solid color briefs or boxer briefs in black, grey, or a color close to your skin tone. OK, now on to the good stuff. 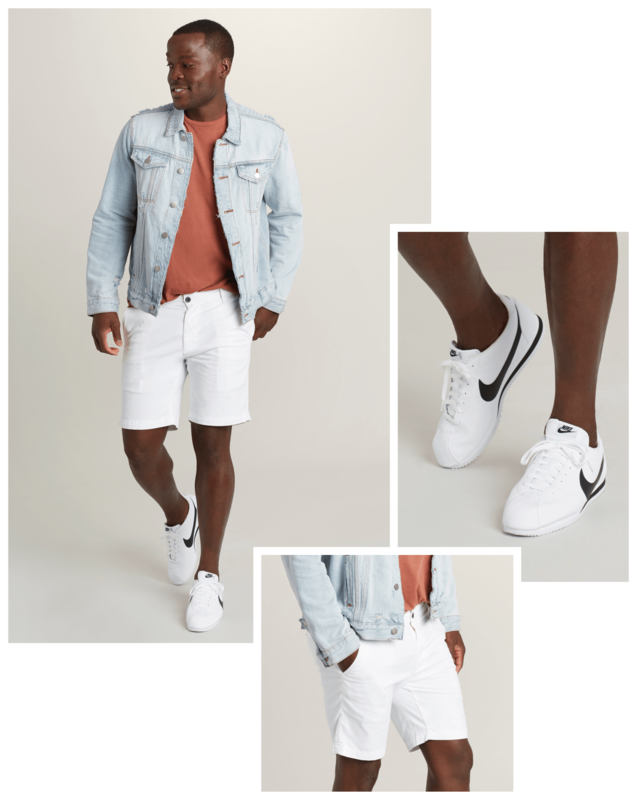 Start this outfit with a comfy tee in either a solid or pattern to go with your white shorts. Cool sneakers and sunglasses are a given, and remember to bring a layer, especially if it’s a night game. A denim jacket is always a classic choice. 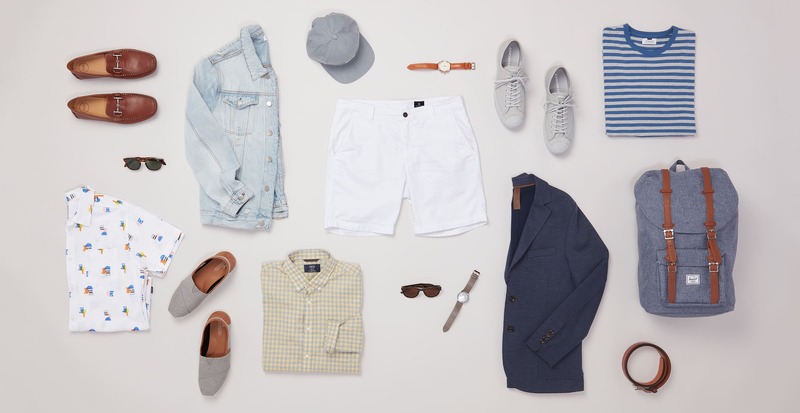 You heard us right, we’re recommending shorts for a date. A well-fitting pair goes nicely with a dress shirt, casual sport coat, and loafers. Make sure your shirt and coat are well tailored to avoid any bagginess that creates a “top heavy” look. You can’t go wrong with a blue-and-white theme. Stripes are always a good option for shirts, and it’s the perfect time to break out a nautical watch. Make sure your shoes have a good grip in case you need a minute to get your sea legs. If you’re into the monochrome look, feel free to go white-on-white. If not, add a printed shirt in any number of colors to wear on its own—if you’re the layering type, bring along a tank or tee to wear underneath. We’re all about comfort here. 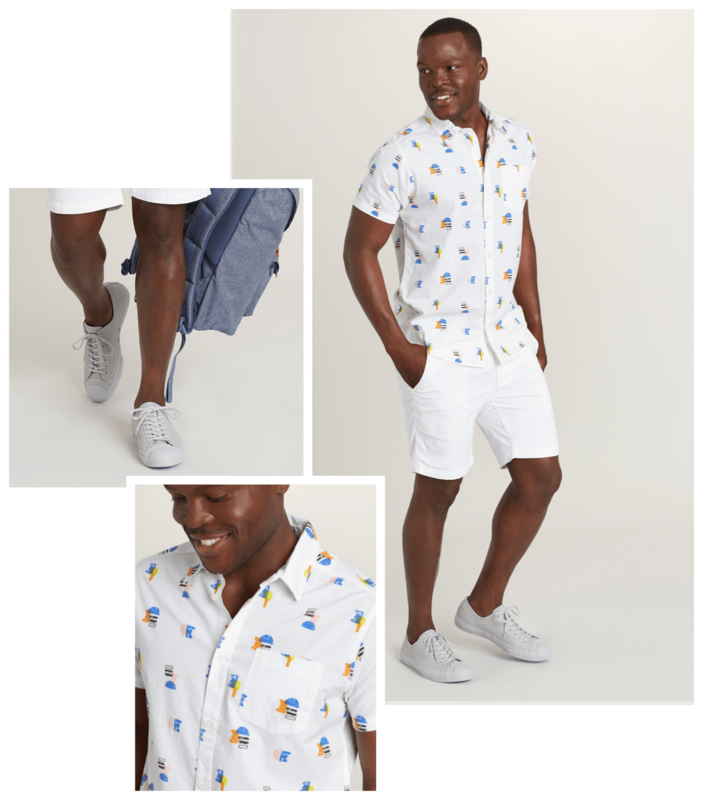 Cotton shirts, polos, or plaid wovens are your best bet, paired with comfy rubber-sole shoes and sunglasses. 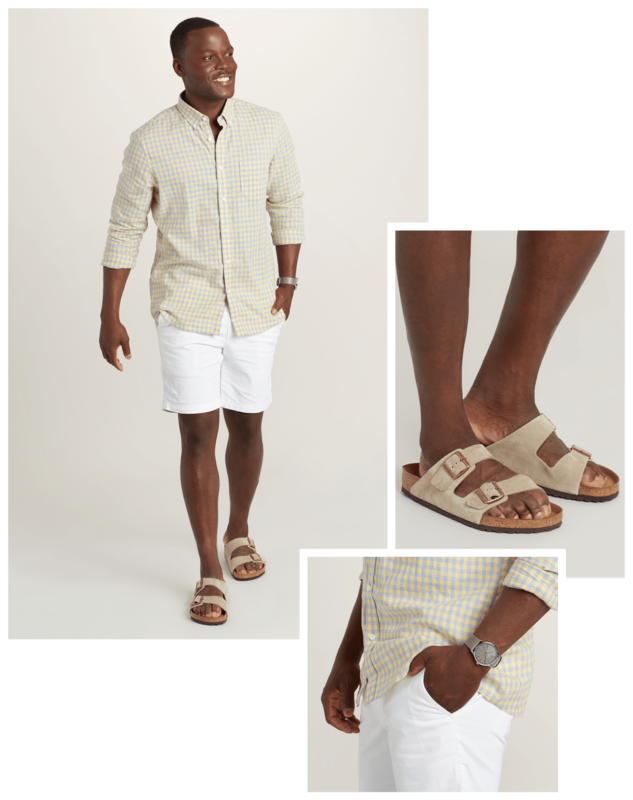 T-shirts, polos, or button-downs are your best bets, paired with sandals and sunglasses. A plain white tee is a great base if you prefer to wear your button-down open.